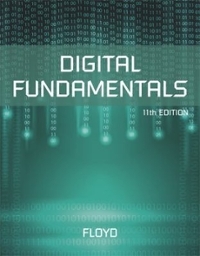 Digital Fundamentals 11 Edition Digital Fundamentals, Eleventh Edition, continues its long and respected tradition of offering students a strong foundation in the core fundamentals of digital technology, providing basic concepts reinforced by plentiful illustrations, examples, exercises, and applications. The text’s teaching and learning resources include an Instructor’s Manual, PowerPoint lecture slides, and Test Bank, as well as study resources for students. Teaching and Learning Experience: Provides a strong foundation in the core fundamentals of digital technology. Covers basic concepts reinforced by plentiful illustrations, examples, exercises, and applications. Offers a full-color design, effective chapter organization, and clear writing that help students grasp complex concepts.